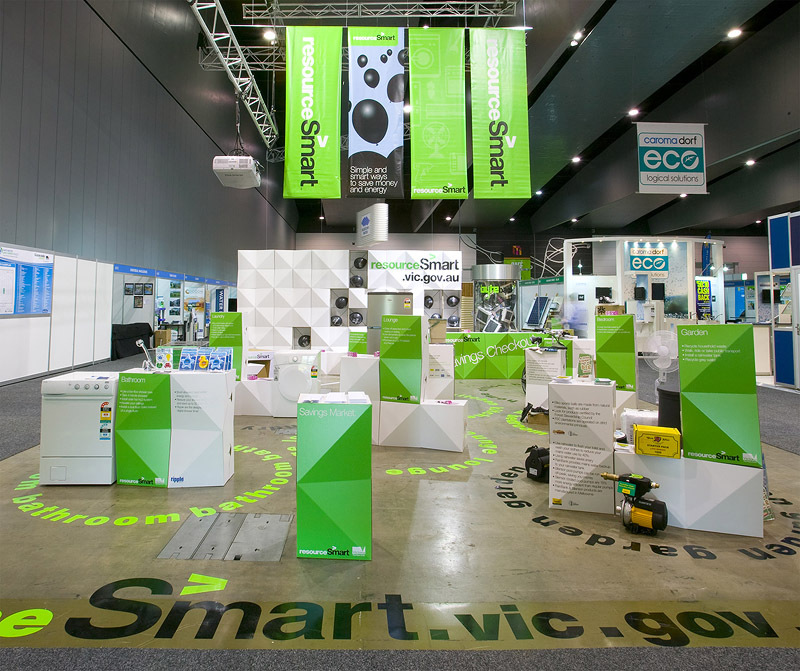 Designed for the Save Water Save Energy expo at the Melbourne Convention and Exhibition Centre, this project avoids the unsustainable pitfalls of conventional temporary exhibition design. 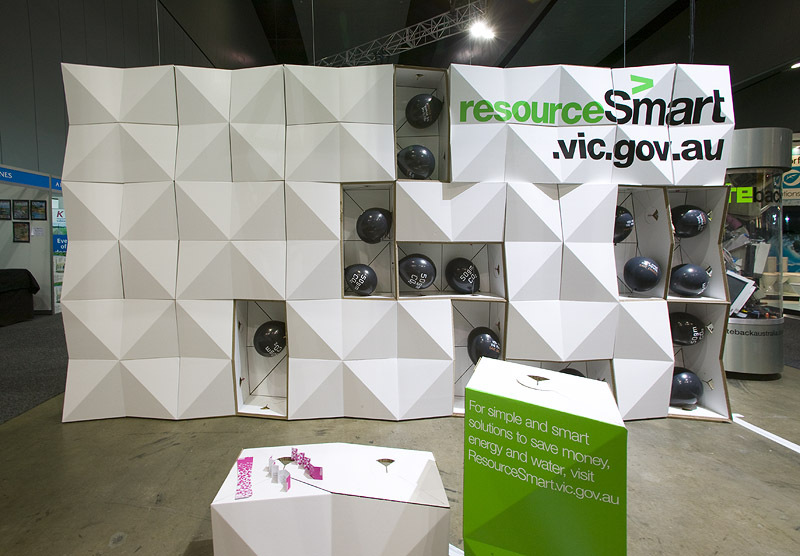 The client, Sustainability Victoria, wanted to be able to re-use the stand in other venues, such as at school fetes, where it might need to be re-configured to suit the space. Rather than designing one stand, the modular design of Freefold bricks allows for a multitude of configurations. 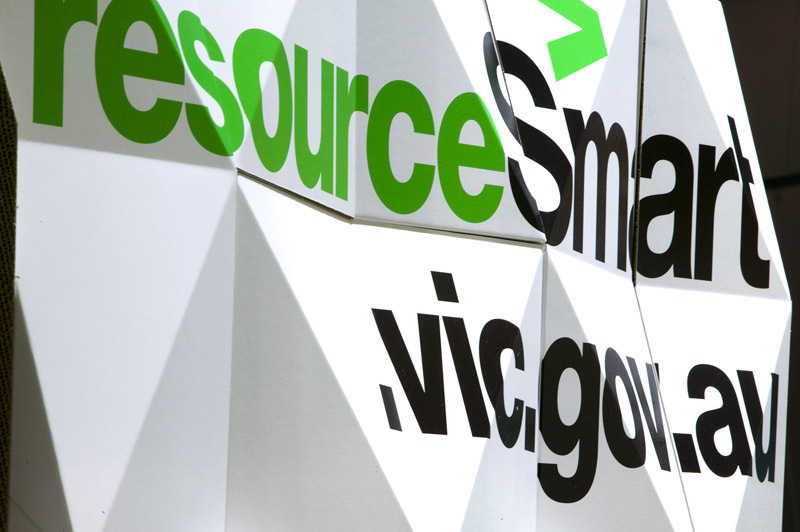 The stand was designed and project-managed by Fold Theory with Collaborate. The Freefold cardboard module is available to purchase – send us an email to find out more.